In the appointment-based business, customer satisfaction is the key to success. How well you communicate with clients and listen to their needs, improves their buyer experience and drives them to your business. On your part, it requires a personal touch. 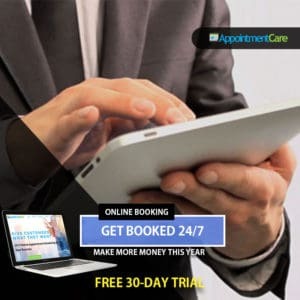 While this may be true in most situations, when it comes to booking appointments it can have a real adverse effect by decreasing speed and increasing frustration. When your clients have business hours of their own, calling to book an appointment can be a real problem for them. Going through the process of calling to check available slots, staying on hold. Then going back and forth between dates is all too slow and frustrating for many customers. Automated scheduling removes the need for unnecessary activities by giving clients access to the appointment calendar. Clients can see available openings, and when they decide on a date. All they have to do is click a button. The entire process takes only a couple of minutes to complete. While it might remove the personal touch of a person-to-person phone call, you can quickly make up for it during the scheduled appointment. Clients always want what’s best for them. Having the ability to schedule an appointment when it’s convenient is a real benefit to the customer. They can book your service while on their way to work, at the supermarket, or anywhere else. Giving clients the ability to make bookings online allows them to schedule an appointment at any point in the day, even after working hours. This level of convenience boosts the relationship a client has with your business, as you make it easy for them to get what they want. Automated appointment setting creates a personalized booking experience for each. Together with the date and time of the appointment, clients can select the exact service, provider, advanced features and any other option you provide and they desire. This kind of self-service makes clients feel special. Additionally, the software also stores previous information about the choices returning visitors made through their account. Once the client accesses the account, they can choose to copy data from their last appointment, and if necessary make slight changes to their request. And since you are the chief administrator on the booking platform, you have access to the information and can make educated suggestions and offers based on their service history. Even when clients can book your service through an automated appointment setting platform, they don’t always want to use it. Some clients might want to schedule an appointment via phone or email or social media. Once that happens, it can lead to overlapping appointments and overbookings. Luckily, automated scheduling software syncs all calendars into one place. It reduces the chance of errors and cancellations by unsatisfied clients. 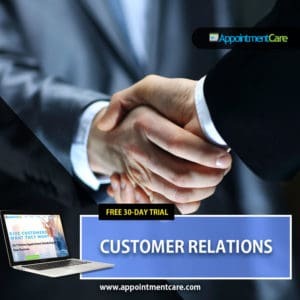 Start a free trial today and let appointment scheduling take care of the little things, while you take care of your clients and build a quality relationship with them.